Team Entry Fee remains the same as 2018 and consists of just one payment. Registration is not complete, nor can Housing be reserved, until the Team Entry Fee is received. Housing priority is based on when the Team Entry Fee is received. The Festival has a Stay-and-Save policy. Adult Memberships for Coaches/Chaperones on the roster ($16 for US teams, $37 for International teams and includes the background check). Click HERE for complete instructions on AES registration and acquiring AAU memberships. Registration opens Oct. 1, 2018. Register and pay on or BEFORE March 9, 2019 and save $100. After that date, the Team entry fee is $1,195. Registrations are accepted on AES through June 14, 2019. All payments are non-refundable, non-transferable. Team Check In will be at the Phoenix Convention Center, Room TBD. - Wednesday, June 26: 9am-6pm. New for 2019, we will use a new Festival Waiver Form that can be completed and signed online via a computer or smartphone at SignNow. 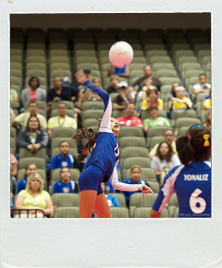 Prior to Team Check in, all Players, Coaches and Chaperones on the Team Roster must fill out the FESTIVAL WAIVER FORM. The Festival will periodically notify clubs of missing waiver forms so they can remind parents to complete them. Once checked in, you will receive a Team Bag with goodies, souvenir programs and Team Credentials. Anyone wanting to attend the Welcome Party from 6:00-8:00 pm, Wednesday, June 26 will need their Credentials to enter. So if you are doing Late Check In, your players will not be able to attend the party without buying a ticket. 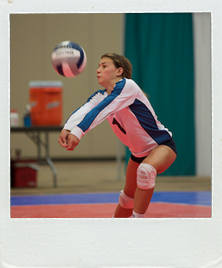 A Club Director or Team Parent can perform the Team Check In as long as they have all the proper documentation. All registered Players, Coaches and Chaperones to the Volleyball Festival must complete the online FESTIVAL WAIVER FORM by May 9, 2019. If registering after this date, the form is due upon registration. 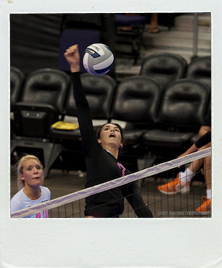 Players must also have a completed and signed USAV MEDICAL RELEASE FORM or equivalent medical waiver. 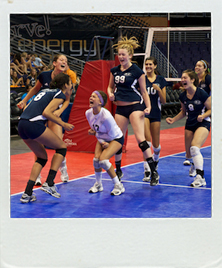 Hard copies of the USAV MEDICAL RELEASE FORM (or equivalent) must be presented at onsite team registration. 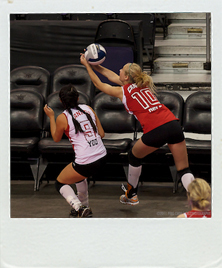 The Team Coach or Chaperone must keep a copy of all paperwork in their possession at all times while at the Volleyball Festival. 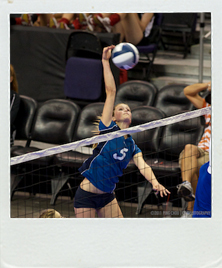 The Volleyball Festival is an AAU licensed event. It is a true "All-Comers" event that welcomes all teams from around the world without qualification. No one goes home early and everyone who starts the tournament has a chance to win the Championship. If your team is not already registered with AAU, click HERE for instructions on how to obtain memberships. 17/18s: Born on or after September 1, 2000 or born on or after September 1, 1999 AND is a high school student (12th grade or below) during some part of the current academic year. The Volleyball Festival welcomes the diversity and cultural sharing that comes with foreign teams participating in the event. Teams from Canada need to also follow these instructions. Teams from Puerto Rico do not. 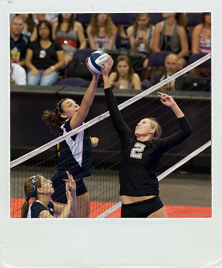 Click HERE for instructions for registering a Foreign Team for Volleyball Festival. Most foreign teams will also require a US Visitor Visa. To find out more information about Visitor Visas, click HERE. AAU offers all member free of charge the Positive Coaching Alliance (PCA) courses and resources. Click HERE to explore all PCA educational resources or to sign up for one of the three levels of Coaching courses. These courses are NOT mandatory for participation in Festival Sports Events. The rosters in AES on May 11, 2019 are what will be published in the Festival Program. Please make sure your roster is correct by this date. Any missing or incorrect information cannot be fixed after this date. Teams registering after this date may not appear in the Festival souvenir program. The Festival makes free raffle tickets available to all teams to assist in their fundraising efforts. Teams sell the tickets for $5 each and keep 100% of their sales. Cash prizes are provided by the Festival (Ten $100, Two $250 and Two $500 prizes) and are drawn at the Festival. Winners do not have to be present to win.